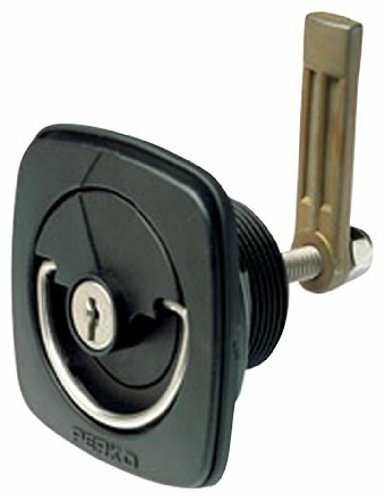 Flush lock and latch - Black- Features stainless steel inch D inch ring handle. Latch flush mount with lock 1-1/16 inch to 2-6/16 inch cam Black or white plastic construction. Position indicator shows open or closed position. Flush lock and latch for smooth or carpeted surfaces. Stem and lock nut and two o-rings for increased water resistance.